Human Development, earning her Ph.D. in 2003. She returned to Japan after graduation and has emerged as a key figure in developing and improving the quality of international education in Japanese higher education. As a student at the University she showed great leadership skills and abilities. One of her advisers said she was a born leader and was greatly respected by her professors and peers. She took on leadership responsibilities in academic settings, in service to the department, college, and University. She was committed to ensuring that she and her peers gained the most from their doctoral experiences. After she completed her Ph.D. she returned to Japan and was hired by Nagoya University as associate professor. 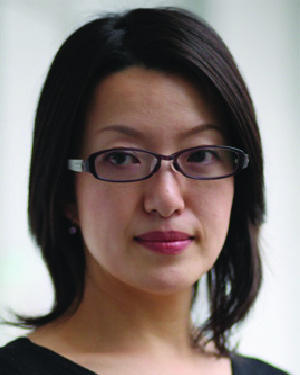 In her early career she was recognized as a potential leading international educator in Japan. She was also invited to be a consultant for the Ministry of Education and Culture. This situation was extraordinary because her dissertation about the state of internationalization in Japan was critical of the policies of the Ministry. Since her return to Japan she has developed into one of the key international educators in Japan. She has also been recognized in Europe and the United States as an authority on Japanese international education and policies. She has spoken around the world about international education in Japan. She has been described as a “third culture person,” a person who can function effectively in any cultural setting without special prior training or extensive transition time. Dr. Horie recently published a book on internationalization of Japanese universities, which has become a major reference piece for international education in Japan. In naming Dr. Horie as a recipient of the Distinguished Leadership Award for Internationals, the committee cited her leadership role and her impact on women educators in Japan, breaking the glass ceiling for women in Japan. Dr. Horie is regarded as one of the only females to have had this much of an impact in Japan. Her international stature and her many contributions abroad are well recognized both here and around the world.